The next thing you need to do is to find a reliable and high-performance hosting provider which meets certain requirements: php 7.1 or higher and ionCube Loader. You can consider hosting your website with AliDropship as this hosting solution is perfectly optimized for the plugin and includes free SSL certificate. 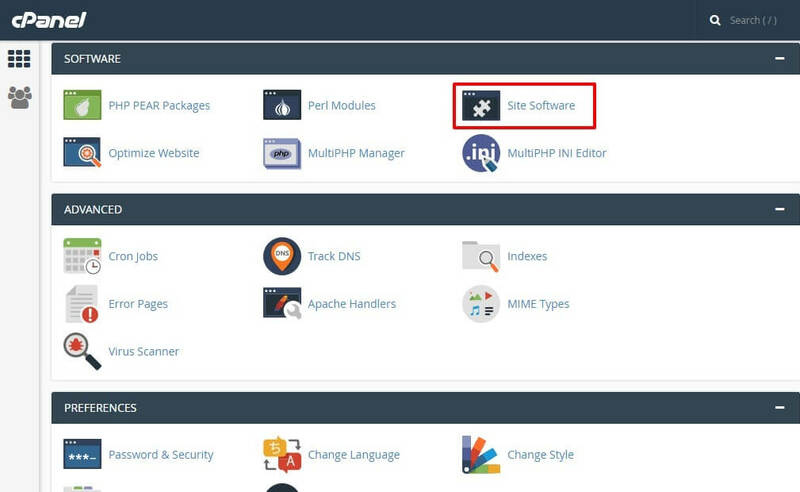 To start installing WP in your cPanel manually, download WordPress file from https://wordpress.org and follow further instructions provided by your hoster. 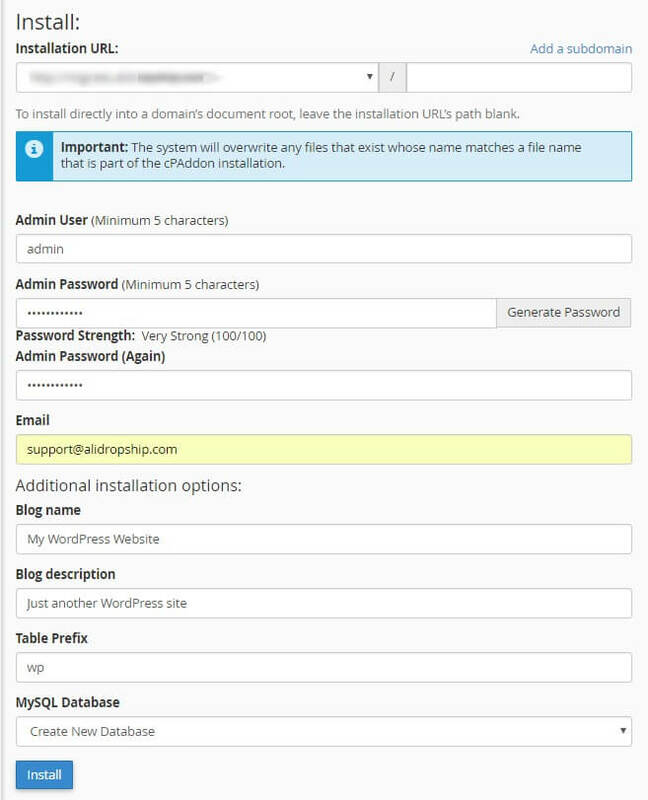 As soon as you have a domain name, hosting to host your website with and WP installed, you can install AliDropship plugin. Log in to your WP account with the provided access details. 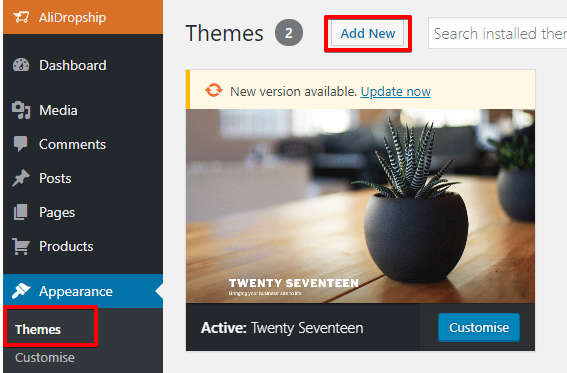 To get started, first go to Plugins tab in your WordPress admin area. Click Add new button, then Upload Plugin, choose a file to upload, and click Install now. 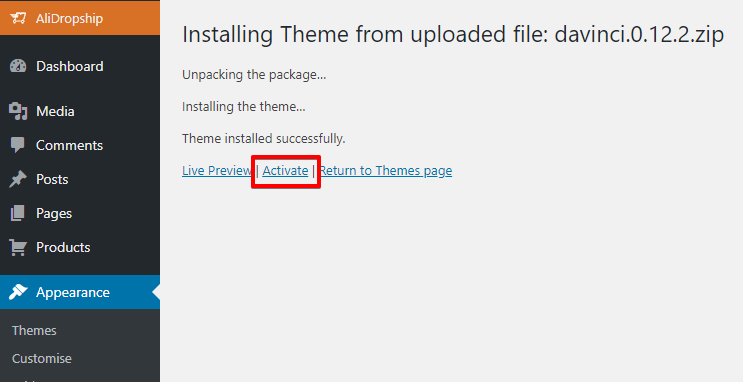 Once the plugin is installed, please go to Appearance => Themes and Add new theme. 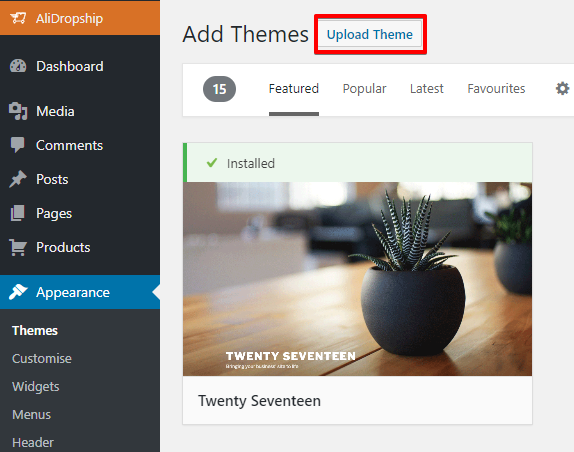 AliDropship original plugin is only compatible with the built-in themes, it does not work with WooCommerce based themes. You can easily switch between the built-in themes without losing your settings. Proceed to AliDropship to enter your license key. Your personal license key is valid for one website/domain name. But if you decide to create another webstore in future, your license can be deactivated on your current store and activated on another one for free.